Inflammation is a serious problem in today’s society. Chronic inflammation is a component of nearly every disease process, especially any degenerative disease. People that suffer from chronic pain or any chronic condition in many instances have too much inflammation in their system. From a clinical perspective, it is a main cause of why a patient’s symptoms won’t improve or why they feel very sore following treatments. The purpose of this article is to inform you about the one of the major causes of chronic inflammation, namely your diet and the subsequent fatty acid imbalances that result from a poor diet. Treating inflammation is nothing new in medicine. In our society, you cannot turn on the television for more than 10 minutes without hearing about the wonderful effects of Non-Steroidal Anti-Inflammatory Drugs (NSAIDs, ex. Ibuprofen, Aleve, Tylenol, etc.). There are studies that show that NSAIDs may be beneficial for preventing heart disease and colon cancer in addition to reducing pain and arthritis symptoms. However, the general public does not understand how the drugs work nor do they grasp the severity of the side effects from prolonged NSAID use. 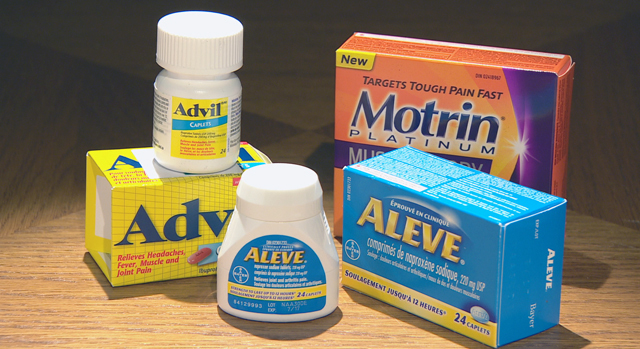 NSAIDs are so frequently recommended that one would assume that they are a vital nutrient for life. However, nobody in the history of mankind ever got a headache from an Aspirin deficiency. This is not to say that Aspirin, Acetaminophen, and Ibuprofen cannot help with the symptoms of a headache. For many people they can be successful at reducing these symptoms. However, the mechanism that allows these drugs to be successful is an imbalance in fat metabolism. The following section is intended to provide an understanding of essential fatty acids and why our fatty acids must be maintained in balance. One of the most importance substances we can consume are Essential Fatty Acids(EFAs). The major importance of EFAs is their relationship to the formation of tissue hormones. EFAs are converted into special hormones called prostaglandins (PGs), sometimes called prostanoids and eicosanoids. Prostaglandins have a variety of functions. Years of fat imbalance can cause symptoms such as heart attack, stroke, autoimmune disease, arthritis, headache, slow recovery from swelling, and many others. The imbalance in prostaglandins is often driven from too much consumption of refined vegetable oils in combination with too much carbohydrate intake. In a vacuum, vegetable oils are considered to be part of the anti-inflammatory prostaglandins. However, in the presence of insulin those vegetable oils will be converted into pro-inflammatory hormones instead of anti-inflammatory hormones. So, therefore it is the potato chips that creates inflammation not necessarily the steak. Trans Fats change the structure and function of cell membranes. You need to avoid these at all costs. The only way to know for sure if you are ingesting these chemicals is to look at the ingredient list. But don’t be fooled by the product packaging, a manufacturer is allowed to state the product contains 0g of trans fat if the per serving amount is less than .49g. As a result, there are many instances where consumption of trans fats is taking place unknowingly. Some of the most commonly purchased products that may contain trans fats are peanut butter, cookies, and granola bars. Basically, if you find it on the shelf at the grocery store be aware it is possible that Trans fats could be included in the ingredients. Aspirin, Acetaminophen, and the whole category of NSAIDs such as ibuprofen and naprosyn work because they block the PG formation at the final step of conversion. These drugs work best where there is a fat imbalance in the first place. If the fats are balanced, then there would be no need for the use of aspirin or other NSAIDs. In order to maintain a proper fat balance supplementation may be required. This is where taking a fish oil supplement can provide the most benefit. In general, I eat very little cold water fish (I just don’t like it) and despite the fact that I eat a lot of Omega 3 nuts, I still take a fish oil supplement fairly regularly. In addition, many people require a fish oil with some form of anti-oxidant protection (most often Vitamin A). If you notice no improvement while on a fish oil supplement or an increase or pain and inflammation you may be anti-oxidant depleted and will require some anti-oxidant support. Also keep in mind, with all supplementation you can overdue it, so please work with an experienced practitioner when deciding to include a supplement into your routine. With all supplementation be aware of your source and choose a product from a reputable company with strict testing standards. There are many good companies out there but in general you get what you pay for. Some fish oil products may contain heavy metals and other toxic substances. Many products have been shown not to contain what their labels suggest they contain. This topic is extremely important for improving your overall health and well being. A lot people have heard of the benefits of fish oils and other oils and this is why they are so important. This topic affects every cell in our body and it has a dramatic effect on pain and inflammation.